Create your own Canon PIXMA iP90 inkjet pack / bundle with our flexible quantity discount pricing. Mix and match products so you are only purchasing what you need, but also maximizing your savings. Compatible Color Ink Cartridge with 120 page yield. Equivalent to Canon part number(s): BCI-16C, 9818A003, 9818A003AA. Fits the following model(s): Canon iP90, Canon iP90v. Compatible Black Ink Cartridge with 120 page yield. 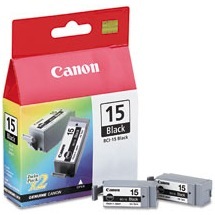 Equivalent to Canon part number(s): BCI-15BK, 8190A003, 8190A003AA, BCI-15B. Fits the following model(s): Canon iP90, Canon iP90v. 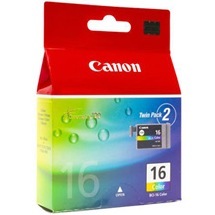 Buy our high quality compatible ink for Canon PIXMA iP90 with confidence. Join thousands of happy customers who have found our compatible products are equivalent in page yield and print quality. For our compatible products, we offer a 100% Satisfaction Guarantee allowing you to return products within 6 months if you are unsatisfied. The Canon PIXMA iP90 and iP90v are quality portable photo inkjet printers that offer a flexible range of features for an affordable retail price. The base model is quick, despite its small size, printing up to 16 pages per minute for monochrome documents, 12 pages per minute for color, and 4x6-inch photos in as fast as 51 seconds. Although its package of features can draw in buyers looking for a creative home printer, the unit suffers from expensive PIXMA iP90 printer ink that will keep running costs high. 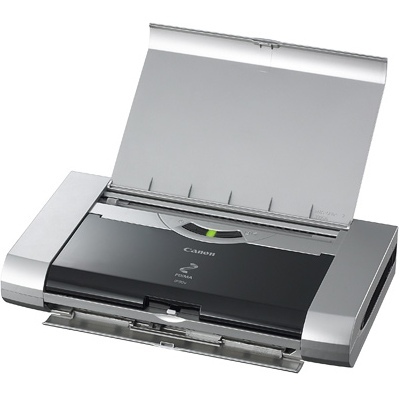 This machine is marked by its portability and mobile printing capabilities, with a size of 12x7x2 inches, a light weight of only 4 pounds and the available rechargeable battery. Users will be able to print from virtually anywhere with a standard USB port and an optional Bluetooth interface that can connect wirelessly to a PC, PDA or cellular phone. In addition, the provision of a PictBridge connection will allow users to print photos directly from their digital cameras. To conserve space, the top cover of the device flips up to double as an input tray that can store up to 30 pages. The compact design sacrifices an output tray to hold printed documents, so they simply slide out onto the table or desk surface. The limited media handling means it will support only low volumes. The machine has the ability to print tiny, detailed Canon iP90 printer ink droplets with enough precision to provide lab-quality photos. The unit is also equipped with a suite of software like Easy-Photo Print and PhotoRecord software for editing control and it prints with a fine resolution of 4800x1200 dpi using color PIXMA iP90 ink. Mobility is its main attraction, but the compact size also lends to its low-yielding Canon iP90 ink cartridges. The tricolor and black Canon iP90 ink cartridges each have a maximum capacity of only 120 pages, which will result in high running costs. Other than its pricey supplies, the iP90 is an attractive solution to portable printing. The unit's output quality, size and speed make it one of the best recommended among its class of portable inkjet printers, but it can be expensive to operate.